This is a Great Deal. 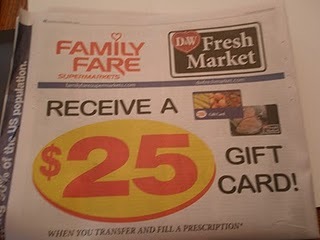 You can get a $25.00 Gift Card when you transfer a Prescription to Family Fare. This offer is running until December 7, 2010. Check out Sarah’s Deals for more information.